Excellent service, highly recommend Mark and his team. Proffessional, kind and understanding service from warm and compassionate staff. Much appreciated at such a difficult time. Well recommend. At such a difficult time Mark stepped in and supported all of the family with his kindness, thoughtfulness, suggestions and above all his professionalism. Mark's attention to detail and gentle manner gave us comforting in knowing our Dad was being looked after. Thank you Mark, you did our Dad proud. Mark Wait is a hidden jewel amongst the funeral services. Run strictly as a family business, you will not get better personalised treatment and value for money anywhere else. Mark and Kelsey made what was a daunting and onerous task look easy. In the middle of a difficult moment it was a real pleasure working with them designing my late wife’s funeral. They catered perfectly for all our needs and understood exactly the spirit we wanted for the event. Their suggestions were always spot on. Everything was delivered exactly as agreed. Thanks to them my family and our friends were able to participate in a very special farewell. When it came to planning a funeral for my late father, my brother and I contacted Mark Wait. I had never had to organise a funeral before, so I didn't know where to start. Mark visited us at my home and talked us through, step by step what would happen and what we needed to do. There wasn't a question or query that Mark couldn't answer or help with. Mark was very professional, knowledgeable and friendly. He regularly contacted us with updates or to check in, to see if we needed help with anything. It was so comforting to know we had a funeral director that we could rely on and I can't thank him enough. I would highly recommend Mark Wait funeral service. Mark's service was excellent. He was discreet and thoughtful when taking my husband's body at a time when I felt very vulnerabl;e. All his discussions with me were conducted with great tact and kindness. When my daughter visited his chapel of rest she commented on the peaceful atmosphere and the helpful staff. His arrangements on the day of the funeral were immaculate and helped at a difficult. time. His planning was meticulous and every step was clearly explained. Mark was lovely and made things so easy through such a distressing time. Thank you so much. Right from the initial meeting with Mark Waite through to the completion of the funeral service itself I can only speak in the highest terms of his professional and caring way in which he dealt with my mothers funeral. I was kept informed at each and every stage of what was happening and when happening. I would not hesitate to recommend his services. Everything went smoothly and was well organised. The dignity and empathy from Mark and his staff were second to none. Nothing was too much trouble and all went smoothly. Definitely recommend Mark's professional services to anyone looking for stress free planning and delivering at a reasonable price. We were in safe and professional hands. I would like to thank Mark Wait his daughter and staff for the excellent compassionate way they cared for my Dad John Patrick Durkan and our family when Dad recently passed away. I would recommend Mark Wait as an excellent Funeral Service Regards Susan Paxton (Daughter). Excellent service, they had me at ease from the start . Nice genuine , professional and compassionate people that made sure that the organisation of my mams funeral was as stress free as possible. Would highly recommend. Mark proved to be an excellent and genuine support in guiding us through a very difficult period. His knowledge, authenticity and style of approach were very much appreciated and he and his team could not have been more helpful. Many thanks. 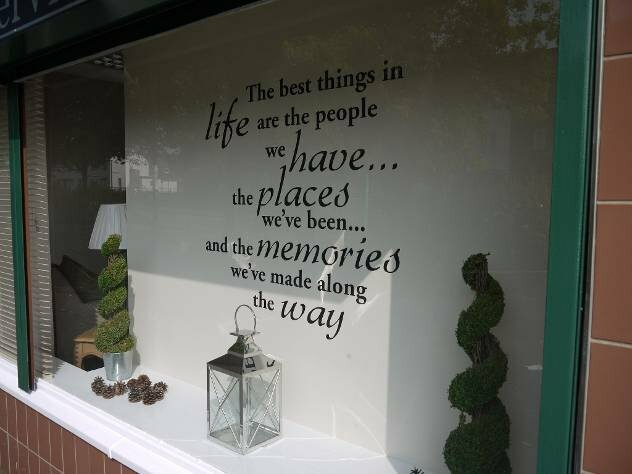 Just perfect....Mark has been brilliant a few times now for my family sadly, however I cannot speak highly enough of him and the service he provides, most highly recommended. Mark provided an excellent service. He was very caring and understanding at a difficult time for the family. He kept us up to date at all stages of the arrangements which meant we didn't have any concerns on the day. Mark was extremely curteous and professional at all times. His calm manner and attention to detail was very reassuring and I have no hesitation in recommending his services to anyone at such a difficult time. Mark and his daughter were excellent. Really clear on what was available, patient, good humoured but very careful and respectful. Could not have asked for a better service to see off our Dad. 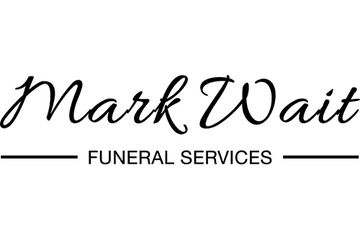 Mark Wait Funeral Service will provide you with a free obituary as part of their service.